We serve Columbia, SC and surrounding areas. Yes, we are open Sundays! Looking for a fun and unique way to announce the new baby? child deserves an announcement that is equally as special! 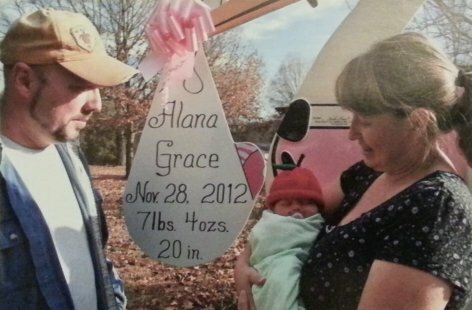 personalized birth announcement from Stork News! Storks are a great gift idea for the new parents! YES, WE DELIVER ON SUNDAYS! 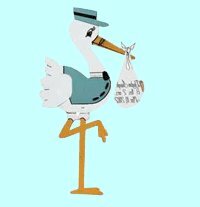 Rent the Stork …keep the bundle! 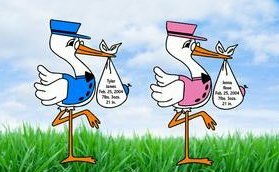 Each Stork Rental includes a personalized keepsake bundle! The personalized bundle is beautifully hand-lettered with the baby’s name, weight, & date of birth. It is yours to keep and makes a great addition to the nursery wall or door. Mom is guaranteed to love it! Some people prefer to include more information than the name, weight, and date of birth…we will gladly try to accomodate your wishes. Please ask about your options when you call. Storks Deliver Babies....We Deliver Storks! and are a great way to welcome home the new baby! 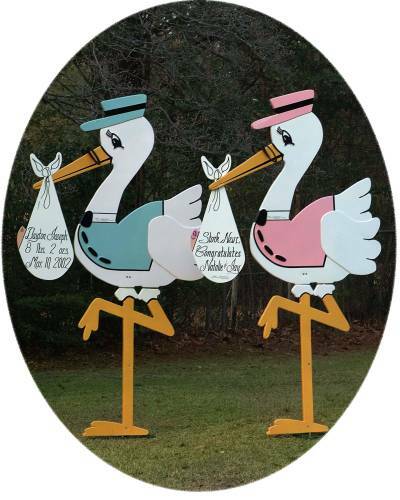 Our adorable life-sized Storks make a great gift for the new parents! 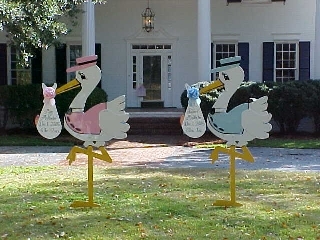 Just imagine the surprised look when they see our Stork perched on their lawn as they arrive home from the hospital. They will absolutely love it! Instead of sending flowers, surprise them with a Stork! Surprise your sweetheart with one of our Storks! You will have the joy of watching her face light up as you pull into the drive. She will be thrilled at your thoughtfulness. What a great way to show her how much you love her! (Read our ABOUT US page). 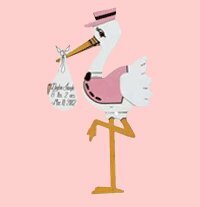 Our beautiful life-sized Storks will gladly help you tell the world your new baby has arrived! Just indicate your preference when you call. Don’t bring baby home without it! Those first 9 months seem like an eternity. After birth, the first year goes by so fast. The next thing you know, your precious bundle of joy is graduating from high school and embarking on a life of their own. Enjoy every moment for they go by so fast. much their visitors and neighbors loved it! When we pulled up we both started crying immediately. We sat there in the driveway just soaking in the reality that we were about to begin a whole new journey together and YOU made that moment for us so special…one we will never forget. Thank you from the bottom of my heart. us to help make this very special occasion even more special!